Welcome back after a lovely two weeks off, we hope you are well rested and ready to start an exciting new topic all about the Romans. We have many interesting and exciting opportunities lined up this half term. 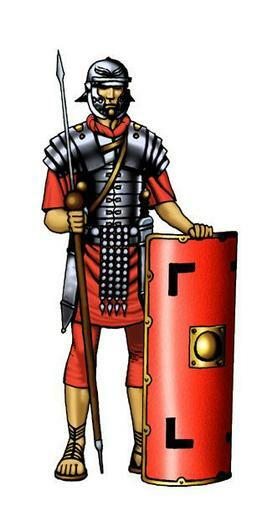 On Tuesday the 16th of April to launch the topic, an authentic Roman soldier will be coming to spend the day at Swarcliffe and teaching us all about the Romans way of life. In English, we will be focusing on myths and legends. We will start by reading Romulus and Remus and carrying out different tasks around this legend. We will then re-tell the story ensuring we include all of the main parts. We will also read the brilliant historical fiction, Escape from Pompeii, and use this to help us write a diary entry imagining we were one of the characters. In maths, we will start by looking at Roman numerals and how we still use them today. We will crack different codes using Roman numerals ensuring our understanding. We will also be given the opportunity to apply this knowledge by working out the value of different Roman coins. This leads nicely into money, which is what we are focusing on next. We will be learning the value of money, comparing money and solving problems based around money. We will then move on to equivalent fractions and collecting and presenting data in different ways. Throughout science this half term, we will be learning about materials and their properties. Firstly, we will compare and group materials based on whether they are solid, liquid or gas. Then we will carry out an experiment to see how some materials change state when cooled or heated. We will then be able to use our knowledge of materials to help us make Roman shields in DT. In history, we will learn all about Julius Caesar and the Roman Empire. The children will learn lots of exciting facts and use these in a non-chronological report. Welcome back Phase 3/4! Hopefully, you enjoyed a wonderful break and are well rested for the term ahead. This term our topic question is: How are images created? This half term we will be studying Ottoline and the Yellow Cat. The children will be exploring the story and the characters over the next few weeks. Once we have read the story, we will create a newspaper article linked to the narrative of the text. We will also be reading a variety of quality texts in Guided Reading sessions. This half term, children will be beginning to look at fractions of both shapes and numbers. They will be understanding the value of a whole and part and looking at how to add and subtract fractions. We will also be using practical resources to compare and order fractions. This half term will have some very exciting science related activities as there will be science fortnight where the children will be taking part in fascinating experiments and learning about classification. In our other science lessons, children will explore how they need light to see things. They will explore this by conducting a range of experiments looking at reflecting and blocking light. The children will also explore the importance of being safe in the sun and how it can be dangerous to their eyes and skin. This half term the children will be completing a history tour using photography from the Victorian era to the present day. In class we will be looking at and discussing a range of images across time and using computers to recreate them. The children will be using ICT to conduct research for their history study and to further develop their understanding of the World Wide Web. The children will be refining their ICT skills in order to publish and present their English work related to the class text, Ottoline. This half term the children will be exploring famous artists, including David Hockney, and recreate their work with various media. The children will be using paint, drawings and digital art. We hope you have had a lovely Christmas and are ready to start our thrilling new topic, sound. We have lots of brilliant opportunities such as a fantastic trip to the Magma Science Museum in Rotherham on the 15th and 16th of January. Leopards class and half of Tigers will attend the trip on Tuesday the 15th of January and Lions and the other half of Tigers will attend on Wednesday the 16th of January. In Science the children will be looking at how sounds are made and test their knowledge using a range of practical investigations. We will have the opportunity to look at the ear in detail and discuss how we actually hear sounds through vibrations in different parts of the ear. Through further investigations, children will explore pitch, volume and patterns between sounds and what could affect these elements. Throughout Numeracy we will be continuing to look at multiplication and division and beginning to look at the distribution and association law. Then, children will move on to looking at length. Here we will start to look at calculating area and perimeter. They will explore all of these concepts and apply their learning to real life situations and problems. During English children will be exploring the Spiderwick Chronicles this term and will base their writing on this text. They will have the opportunity to write a letter, instructions and a character description. We will also be learning many different punctuation and grammar techniques along the way. We will be writing instructions on how to catch our mischievous intruder! In design technology the children will be researching what animals and creatures need to be able to survive before using their DT skills to build a home. They will need to think about structure, joins and stability when creating this product. How can I become a retail expert? Welcome back! We hope you are all ready to learn about our exciting new topic. This half term we are basing our learning around retail. There are many fantastic learning opportunities to concentrate on. The first week of term we thought of questions about retail that we would like to find out by the end of this half term. Hopefully what we have planned will answer them! In science, the children will be carrying out a wide range of experiments in order to compare and group materials together. They will be learning about the different states of materials and what is needed in order to change a material from one state to another. Children will be observing the changes and discussing what has happened and how it has changed. During numeracy children will continue to build on their calculation strategies by looking at multiplication and division. Children will have many practical opportunities to practise these methods. The children will be looking at key vocabulary and how to apply this to word problems. We will begin by looking at our times tables (up to 12 times) and using these to completes sequences. Throughout this topic children will be introduced to a wide range of texts. We will start by looking at a variety of fairy tales and discussing the key features and structure. 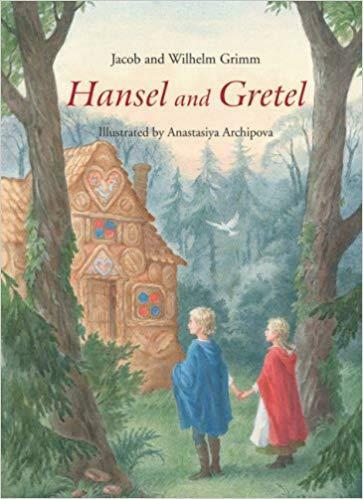 The children will also have the opportunity to write their alternative ending to Hansel and Gretel. This half term the children will be designing their very own ‘Harry Potter’ style chocolate and using persuasive language to create an advert for their own creation. The children will be looking at a variety of different types of packaging and discussing the information displayed. We will also be using our mathematical knowledge to discuss the shapes of packaging and dissecting it to look closely at the net. The children will also be able to design, develop and make their own packaging using a variety of different materials. During this, we will be discussing how to make the packaging look appealing to customers so that they would want to purchase the product. During our DT lessons children will be designing and making their own gingerbread men. In order to do this the children will be using the internet and search engines to online shop for their ingredients. Children will also be using search engines to search for deals and offers too in order to find the best value for their money. We hope you had a great summer holiday and are ready for another fantastic year at Swarcliffe Primary School. Over this half term we will be looking at the different states and landmarks in America, and explore why people choose to holiday in America. 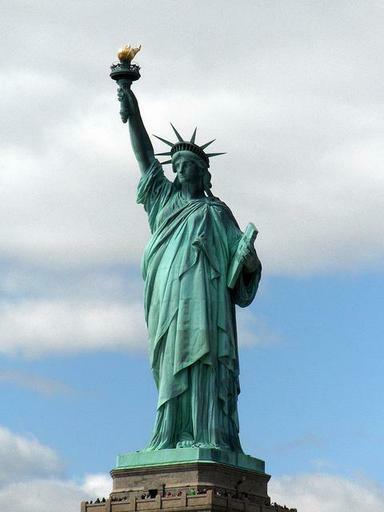 In our English lessons we will focus on a variety of fiction and non-fiction texts linked to America. Children will be researching facts about America safely on the internet and writing their own non-chronological reports using the information they have found. As before, spelling and grammar are a key part of our English lessons. We also encourage children to read as much as possible at home and in school. In Maths lessons we will be focussing on key mathematical skills, including the written methods for all four calculation methods. To link to our topic, we will learn about the time differences between the United States of America, the UK and a range of other countries. We will also look at the difference between American dollars and the British pound. In Science we will be exploring electricity; identifying common electrical appliances and even investigation the use of switches, buzzers in our own scientific experiments. In Geography lessons we will be locating America and the different states using maps and atlases. We will study the similarities and differences between specific American states and our local area. Our RE lessons this term will teach children about the different faiths linked to our local community through stories. We will link different faiths through festivals, celebrations and pilgrimages. Children will investigate festivals and stories linked to the Native Americans. PE will continue to take place on Friday’s with the coaches. Please remember that children will need the correct PE kit to be able to participate in sports with the coaches. This term Tiger's will be swimming on a Wednesday afternoon and will need a swimming costume and a towel. Beat Bullying Visit this website for lots of useful information. Internet Safety Visit the Cyber Cafe and learn how to stay safe on-line.